Please measure using a piece of string, leaving room for at least two fingers to easily fit between the string and neck. You should choose a length you feel comfortable with. Sizes of stones vary due to the nature of the amber. 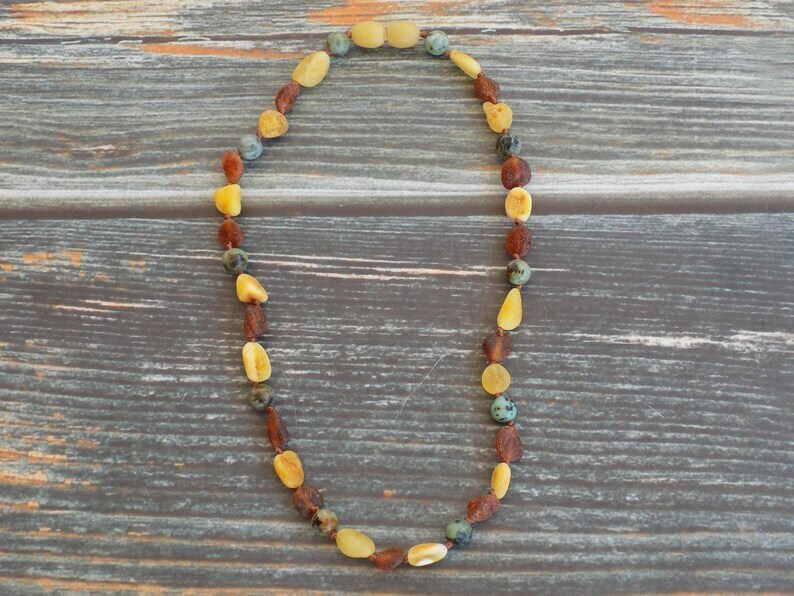 To Read More about the Gemstones contained in this piece, visit https://www.facebook.com/notes/momma-bean-stalk/gemstones-i-have-around-and-their-uses/390634854376930.